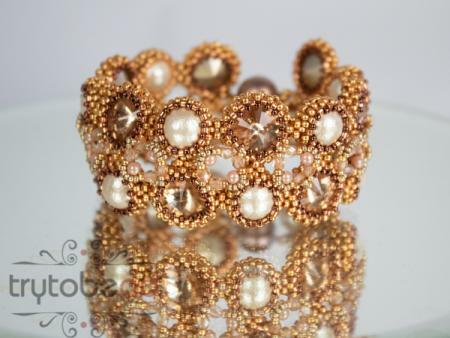 Required supplies: Rivolis 14mm, Cotton Pearls 10mm, firepolished and round beads 3mm, seed beads size 11°, 15° and cylinder beads 11°. 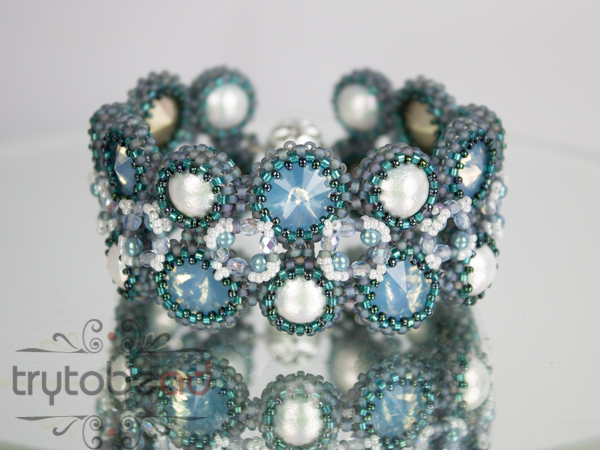 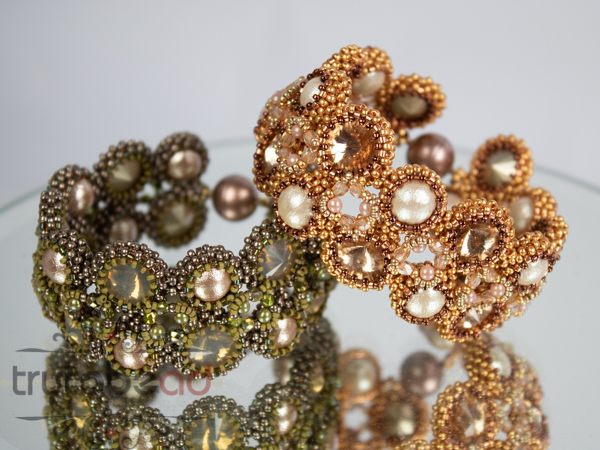 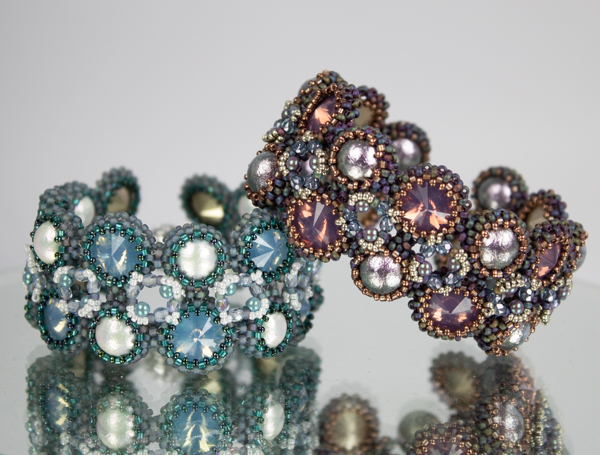 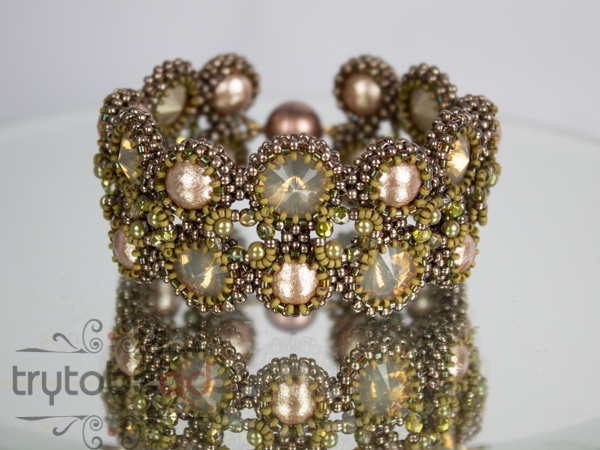 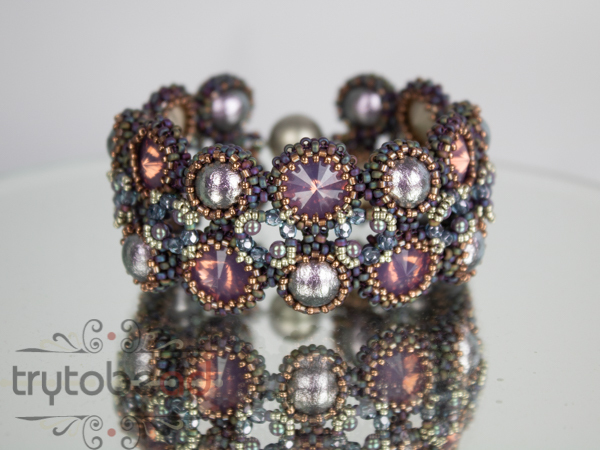 The matching kits for the pattern include all beads and a clasp for a bracelet of up to 21.5cm (12 units). The Rivolis in the kits (and sample pieces) are not from glass but from Resin.